Condividere la connessione internet in WiFi condivisione LTE Wi-Fi è ora molto più facile e più conveniente. Basta collegare direttamente alla porta USB del computer portatile per trasmettere i dati e condividere LTE WiFi con altri dispositivi allo stesso tempo. 1 Modem Onda M01. GPRS multi-slot classe 10. Classe 1 (1W) per DCS1800/PCS1900 dati GPRS classe 10: max. integrata SIM Card Holder. SIM Sard: 1,8 V o 3,0 V. SIM Application Toolkit. standard industriale interfacce. • Sierra Wireless GX440 Unit. I really do appreciate it. Occasionally I do make mistakes and will do my best to help correct the situation. Neues AngebotXfinity xFi Pods / 3 Pack - used very little. Xfinity xFi Pods / 3 Pack Like New! Used for about a month. Ended up changing internet service and these will only work on xfinity with their approved modem. Easy to set up and ready to go. Please make sure they will work with your network and ask any questions before bidding. Thanks! LTE FDD (Bands 1-5,7,8,13,17,18,19,20). Data Features LTE Includes ALL Original Accessories Listed Below! GSM Unlocked for any GSM Network Worldwide. Give us a chance to make things right for you, and we will do our best to assist you solve the issue. This is Actiontec MI424-WR Rev. I Fios Wireless N Gigabit Cable Modem. The modem is in good condition. Original AC adapter is included. MODEL: TM1602A. New w/o box or manual, unused D3.0 Arris T1602A modem. 1 Ethernet port. 1 Cable port. Includes power cable. SN: 7352WL535102315. US Robotics Courier HST Dual Standard ASL Modem Vintage High Quality Dial-up Outboard Model The box has been opened but the modem has never even been plugged in. It has everything still in the box new. Please look at the pictures to see exactly what you will receive. 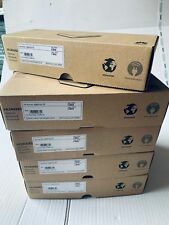 5 x Huawei EchoLife HG612 3B FTTC VDSL NTE Fibre Modem. item features- VDSL Connection 10/100 Ethernet LAN Connection Reset Button BBU Port (NOT IN USE) LAN 2 Port (NOT IN USE). Designed to be used with BT infinity Fibre but can be used with other ISP'S that use the BT network. A VoIP IT Field Technician used them for testing in the field and no longer needs them. 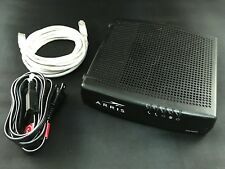 Arris DG2470A GIGABIT DOCSIS 3.0 ETHERNET CABLE Gateway Modem DG00DLQ2470 DG2470. Part Number: DG2470A. MoCA 2.0 over coax. Data Interfaces: 4 x 10/100/1000 Base-T Ethernet (RJ-45 connector). RF Interface: ‘F’ type connector. Huawei EchoLife HG612 3B FTTC VDSL NTE Fibre Modem. 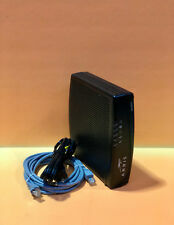 item features- VDSL Connection 10/100 Ethernet LAN Connection Reset Button BBU Port (disabled by default) LAN 2 Port (disabled by default ). Designed to be used with BT infinity Fibre but can be used with other ISP'S that use the BT network. ITEM HAS BEEN CLEANED AND TESTED FOR POWER. LISTED ARE PICTURES OF THE ACTUAL ITEM. Incredibly Fast 4G LTE Operation. LTE FDD (Bands 1-5,7,8,13,17,18,19,20). Data Features LTE GSM Unlocked for any GSM Network Worldwide. Give us a chance to make things right for you, and we will do our best to assist you solve the issue. When you use this Cisco DPC3010 Cable Modem, you'll experience the Internet at a new level. You can use the Cisco DPC3010 cable modem for tasks such as transferring between devices. This 8x4 DOCSIS enhances your networking flexibility. NETGEAR CM500 (CM500100NAS) 680 Mbps - Black. Condition is New. Shipped with USPS Priority Mail. It can be replaced Digiprog ST01 01/02. Just position press and hold the spear point over the EEPROM leads. Spare spear point pogo pins (PL50-B-2R) --- 4 pieces. 8 position spear point, SOIC-8 adapter with cable --- 1 piece. NETGEAR ProSafe GS108 8-port Gigabit Desktop Switch New sealed [8d]. Condition is New. Shipped with USPS Priority Mail Padded Flat Rate Envelope. I received a factory box of these, all new, all missing battery or and battery cover. It uses V.92 call notification and call identification features as well as dial and dialback security to prevent junk transmissions and protect network data, and its carrier loss redial feature makes sure your outgoing transmissions get to recipients even if their fax number is busy when your first send the data. Motorola SURFboard SB6141 Cable Modem NEW. Shipped with USPS Priority Mail. The QuickCarrier® USB-D USB cellular modem is designed and built for M2M (machine-to-machine) applications. Zoom Data/fax Modem 2949c Rj-11 Phone Line Rs-232 56K V.90 for WIN/MAC/LINUX NEW . Condition is New. Shipped with USPS Priority Mail. Modem still sealed in plastic. 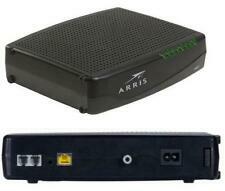 ARRIS Surfboard SBG10 Docsis 3.0 Cable Modem/ AC1600 Wi-Fi Router, Black. Open box in new condition power tested Shipped with USPS Priority Mail. Old modem or network card. Dell P/N : FM76N ,94HCF, JTVDT, J1GH5, 470-ABBT. The Dell USB 3.0 to Ethernet adapter supports up to Gigabit Ethernet data speeds, so you can enjoy faster streaming of online content. For faster streaming and network connectivity, the Dell USB 3.0 to Ethernet adapter enables you to add an Ethernet port using an existing USB input on your computer or desktop. NETGEAR - 32 x 8 DOCSIS 3.1 Cable Modem - Black. Condition is New. Shipped with USPS Priority Mail. Cable/DVB-C probe. Neoprene/Rubber Case (snug fit). As shown in the pictures. Color: Black. We Have Continually Grown By Providing Quality Deals At Low Prices. Quality Tested. We carefully inspect each used item to make sure have minimal or no scratching. You can expect a fully functional product. Include power adapter. Network cable. All in pictures. 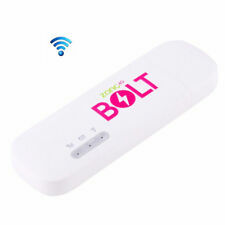 Model: DPC3008/ WRT54G2 V1/ WRT54G2. Part Number: DPC3008 WRT54G2 WRT54G2. MPN: DPC3008 WRT54G2 WRT54G2. These modems are in good overall condition, and will include the following 2 CISCO CABLE MODEM DPC3008. TP-Link TC7650 DOCSIS 3.0 High Speed Cable Modem Ethernet (RJ-45) Up to 1Gbps . Shipped with USPS Priority Mail. Item was opened once but never used. There are 14 of these modems! All are Service Point 2040. TECHNICOLOR CABLE MODEM TC4310 #A-0040. Condition is New. Shipped with USPS Priority Mail. Xfinity xFi Pods / 3 Pack - used very little.